Rockwood Discounted Canoe Outfitting Group Rates are for non-profit groups such as a church or school. – Larger groups may take separate trips into the BWCAW and cannot get back together when in the BWCAW, staying in groups of 9 or less, 4 canoes per group maximum. We recommend separate entry points to avoid possible fines. Rates based on calendar days. Does not include BWCA permit and camping fee. 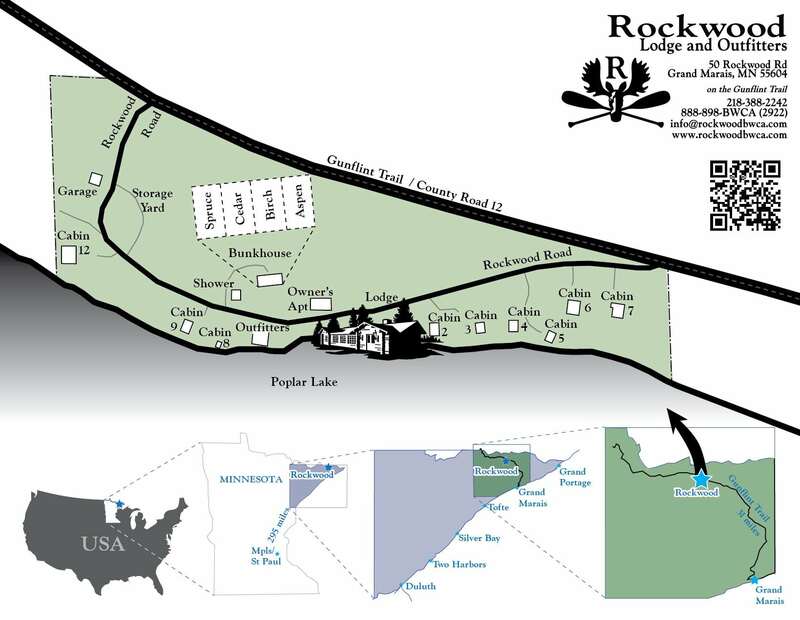 Change in group size must reach us at least 14 days prior to arrival at Rockwood. We cannot adjust for any changes after that time and you will be charged for the number of people requested originally. Bunkhouse: The bunkhouse has 4 separate rooms that open to a shared deck. This is a perfect place to start a trip into the boundary waters. Each room has a heater, 4 bunkbeds and a bathroom with a shower and towels. Outdoor carpeting in each room makes it a great place to pack and repack your gear. You can park directly behind the building. Bedding is available at an extra cost, these rooms are designed for you to use your sleeping bag on the bunks. These items are important to the success of your trip. Remember to keep it light because you will have to carry it.